Everyone loves some green sticky icky, dried herb is by far the most common way people get their THC fix. While cannabis flower has been prevalent in society for hundreds of years, as medical marijuana is beginning to reach its zenith in popularity new advances in getting high are coming to light. Concentrates such as kief and hash have been around for millennia, however, only semi-recently have people begun to perfect the concentration process to make extremely potent extracts. The history of cannabis concentrates as we know them today is foggy, shrouded in mystery and wrapped in anecdotal stoner myths. It’s believed that the first highly concentrated cannabis extracts originated in the 1940’s. Declassified world war II documents detail how the U.S Office of Strategic Services used a THC ‘serum’ in its interrogation program. George White, the man heading the agency at the time was believed to have used extract laced cigarettes, as well as LSD and various other drugs to interrogate prisoners. It wasn’t until the 1970s that concentrates such as honey oil began to surface. In his book Cannabis Alchemy: The Art of Modern Hashmaking published in 1974, D. Gold illustrates on how to create said honey oil. the process involved using pure alcohol, such as ethanol in conjunction with activated charcoal. Once evaporated, a dark honey like substance would remain. It seems worthy to note that has oils produced in the 1970s had on average 15% THC content. Between 1980 and 1997, many samples were seized and tested by the DEA, the highest percentage of THC found in these tests was 52.9%. Even though an extract that good was probably a remarkable achievement at the time, it pales in comparison to today’s concentrates which can reach over 90% THC. In 1999 a popular drug forum and informational website called Erowid published an article detailing possibly for the first time on the internet how to obtain butane hash oil (BHO). However, their method of creating BHO involved exposing the extremely flammable butane and would later become known as open ‘blasting’. Still, it was the beginning of the hash oil revolution in the modern age of information sharing. However, it wasn’t until a decade later that high-quality hash oil became popular and started hitting the shelves of local medical dispensaries. So just what are these high-quality hash concentrates? 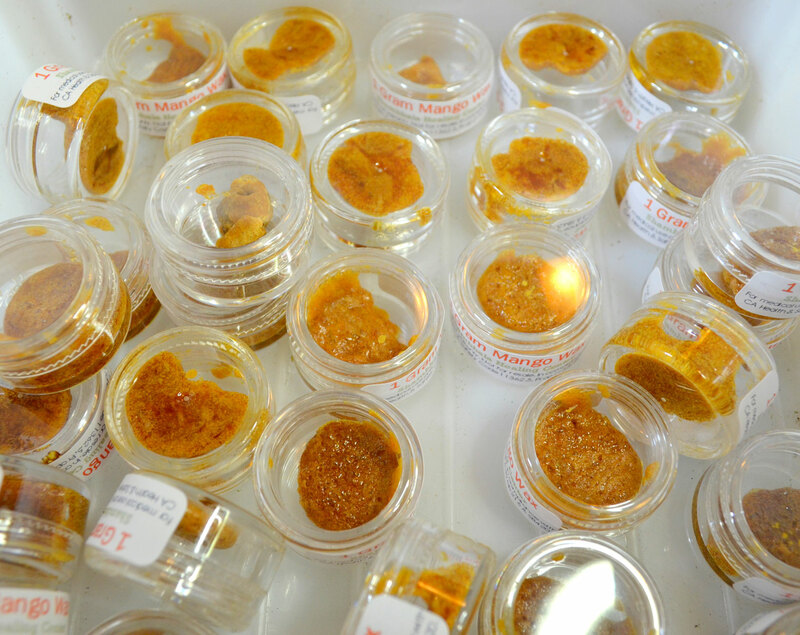 Two of the most popular are known as butane hash oil, and C02 oil. Both of them getting their names through the extraction process that is used to create them. As you may have guessed, the creation of BHO is done using butane, and it can be an extremely dangerous process. There have been many documented cases of people blowing themselves up, burning down their houses, or just getting severe burns. It is possible to create BHO safely, but if you’re new to making concentrates it’s definitely not recommended. One other risk associated with BHO is smoking it. If the BHO is improperly made then it’s possible for butane residue to reside in the oil, when you go to smoke the concentrate you would be inhhaling toxic fumes. Because of this, it’s always important to get your BHO tested for purity. When it comes to C02 oil the process of creating it is known to be far safer, as you are using non-flammable carbon dioxide in the extraction. In this method, the carbon dioxide is compressed at extreme pressures until it transmutes into supercritical fluid, which is then able to extract all those CBD’s, terpenes, and THC. One of the main draws for those who prefer C02 oil, is that it requires no chemical solvents to create. This means you don’t have to get it tested for purity as with BHO, you can smoke it worry free. However, one of the main problems with C02 oil is that machinery required to produce the concentrate on any kind of commercial scale can cost hundreds of thousands of dollars. Due to this fact C02 oil is typically more expensive than BHO.